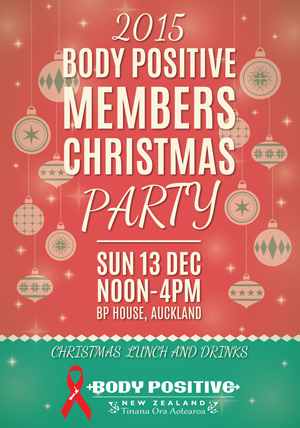 The annual Auckland Members Christmas party was held on Sunday 13th December at Body Positive House in Auckland from 12noon-4pm. With a festive atmosphere, Christmas lunch and drinks, everyone had a great time. Body Positive will host the seventh annual HIV Treatments Update Seminar on Friday 25th September in Auckland. 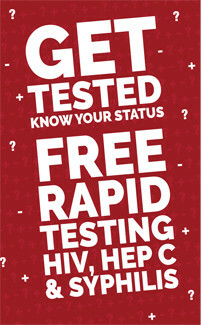 A 6on6 peer support group consists of a minimum of six HIV+ people plus two HIV+ trained facilitators. The group meets once a week for 6 weeks for two hours. The group meets to discuss issues that affect the lives and are of concern to HIV+ people, in a non-threatening, non-judgmental environment. 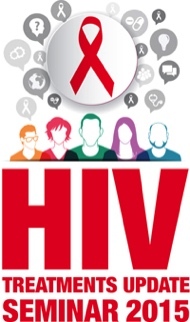 It is a forum for HIV+ people to take back control over their lives and reduce any feelings of isolation. 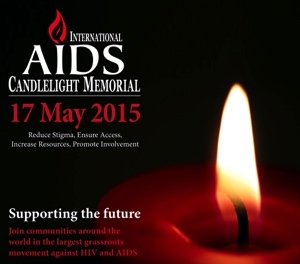 A 6 on 6 group offers a venue where HIV+ people can learn from the shared experiences of others. Most participants say they are glad they attended the 6 on 6 because they feel they now know more about the whole HIV picture and less overwhelmed about the technical stuff around HIV. We held the annual HIV+ Men’s Retreat was at Vaughan Park in Long Bay just north of Auckland from Friday 20th to Sunday 22nd March, and as with previous years, it was completely fully booked! The weekend was attend by guys from all over New Zealand and was a great success, with many commenting that it was the best retreat they had ever attended. 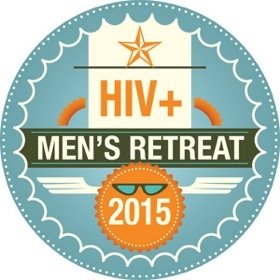 The aim of the retreat is provide the opportunity to meet with other HIV positive men, provide opportunities to develop a support network, to create a safe and supportive environment for HIV positive men to discuss and share information, and to take time out - to facilitate rest, recreation and to revitalise yourself. The Snapshot Sessions are a series of photography workshops devised and run by Steve McVey in which participants reflect on aspects of their concept of self. The resulting work from the most recent workshop series has been edited and put together for this exhibition. Photographs have the power to shape memories of situations and circumstances, which can alter our self-concept (positively or negatively) and alter future trajectories of self-concept and self-presentation. By reinterpreting old photographs without the limitations of anchored perspectives and taking time to slow down and really look and engage with our current environments in new ways, behavioural aspects of self-preservation, self-presentation and self-concept are revealed. This can be problematic when determining the ‘true’ self as a fixed entity rather than an ongoing and evolving one, informed, influenced and transformed by all we encounter and experience. As such aspects of self-identity can gradually be steered in positive ways and incorporated into individual habitus. While complete in themselves “The Snapshot Sessions” are part of ongoing research by Steve which attempts to blend social and psychic systems into the world of meaning and material through the practice of photography. The aim is to envisage how systemic processes facilitate cultural wide expectations on individual and communal behaviour that allow increases in complexity while keeping stability. In this series from October to December 2014, ten supporters of the HIV charity Body Positive in Wellington were taught technical aspects of photography and introduced to renowned NZ and International photographers. The weekly technical and conceptual assignments led to the production of over 50 images each using 35mm film. 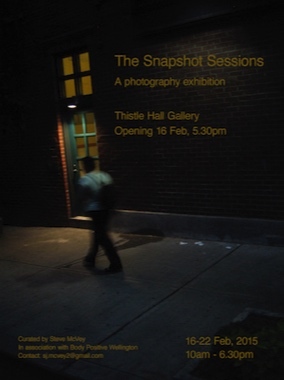 Three images per photographer have been selected for this exhibition. All works on show are available for purchase. All proceeds will go towards fundraising for Body Positive charity, which helps break down isolation and builds a sense of community for people living with HIV in New Zealand. Operated by Body Positive, Positive Women Inc. and the Cartier Trust, the Poz-Friendly Chill Out Lounge was an informal space for positive people and their supporters to relax, with shade and Red Ribbon bean bags to lounge on and watch the show. Michael Lett is pleased to present Implicated and Immune, an exhibition that focuses on artistic responses to HIV/AIDS, both historical and contemporary, as well as offering broader meditations on desire, loss and the body. Implicated and Immune marks three decades of HIV in New Zealand and seeks to re-engage a wider public with the ongoing epidemic. The exhibition partially reprises the first Auckland exhibition to explicitly respond to the epidemic. Implicated and Immune: Artists’ Responses to AIDS took place in late 1992 at the Fisher Gallery (now Te Tuhi) in Pakuranga, Auckland. This landmark exhibition featured work by artists including Jack Body, Fiona Clark, L. Budd, Richard Killeen and Fiona Pardington. The new exhibition revisits these artists as well as drawing in other New Zealand practitioners including Billy Apple, Simon Denny, Russ Flatt, Jacqueline Fraser, Giovanni Intra, Imogen Taylor and Douglas Wright. Two public conversations will be held in the gallery during the exhibition. On Saturday 31 January at 1pm, artists Ruth Watson and Trevor Fry will discuss the work of important gay artist Grant Lingard, whose final major work Swan Song will be included in the exhibition. 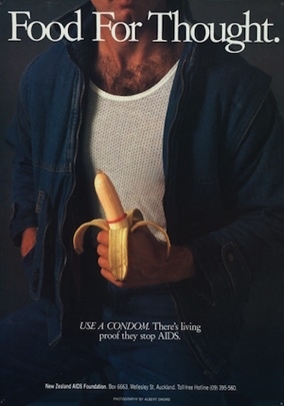 On Saturday 14 February at 1pm, Auckland Art Gallery curator Ron Brownson and artist Fiona Clark will discuss Clark's seminal work Living with AIDS.